Many many years ago (when I was 9 or so) my father gave me the best advice when it came to money. He said "Save More, Spend less, & Save wisely". I didn't quite understand what that meant until he took me to Walgreens and had me wait in line with him with coupons and a quarter. I looked up at him confused because he had a 4 bottles of juice, a bag of sugar, and 4 cans of soup but only a quarter? It was then when I witnessed him use coupons! I was hooked at that very moment. My mom worked for a psychiatric hospital so I spent a lot of time with my dad. My dad couldn't work due to a horrific car accident a few years prior so he saved every penny he had. I learned my frugal ways from my dad and my diy crafty ways from my mom. She was like McGyver 2.0! If you needed something fixed, she was your go to person. My dad would go to the store everyday after he picked me up from school and we'd grab a good amount of groceries or household items for under $10. I'm going to share with all of you how I budget and how you could too! I use a notebook and write everything out as shown below with dates they are due. Set an amount for you to set aside for yourself to buy a few household items. When you are starting your budget, use only cash for personal expenses. It will help you spend less. Next you're found to create a meal plan depending on what's on sale for that week and don't forget to match coupons with the sale prices. If you get into this routine, you'll start saving some money. You want to put the money that is left over after all of your expenses into your savings account. You want to do this every time you have income coming in. The money in your savings will get interest. 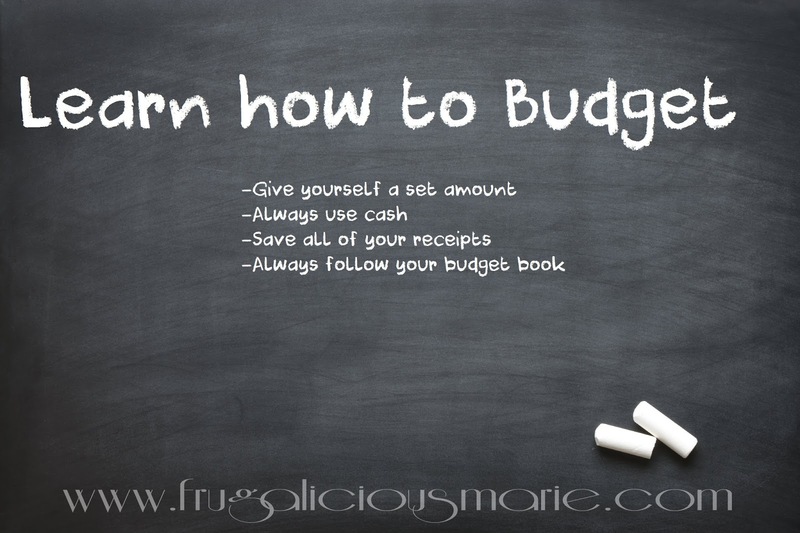 I recommend using notebooks and a planner to set up your budget. The things you want to keep in mind is that you adjust the budget to where you'd understand. Make it your own. I set aside $20 for weekly couponing trips. Whatever is left over from that week, I deposit into my savings or carry it over to the next week. My grocery budget is $150 biweekly. Whatever is left over from that, I put it towards my next grocery trip or put it into my savings. You'll slowly start to see the change and notice how much you're saving. If it helps, put your budget and expenses into your Google calendar or any other mobile calendar you may use. It'll help you see what goes in and what's goes out. Happy budgeting!